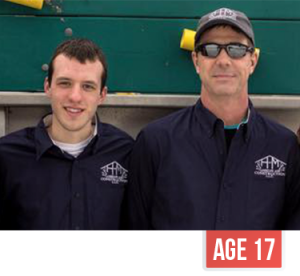 Paul’s entrepreneurial spirit was ignited when he started mowing lawns. 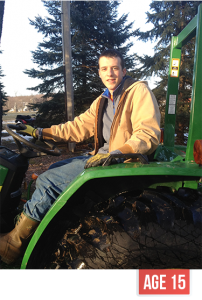 As a child, he was motivated to learn how to cultivate new clients and get paid for hard work. 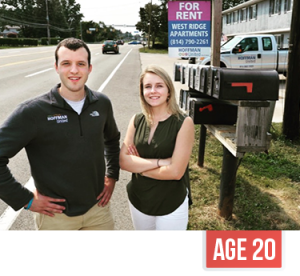 These young experiences developed his passion for community involvement and started his curiosity to learn more about property development. 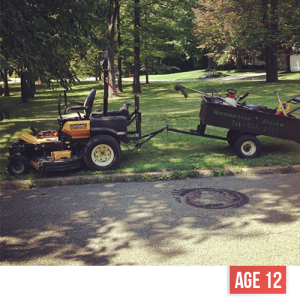 Paul’s strong work ethic and dedication helped him grow his clientele to eight lawns. 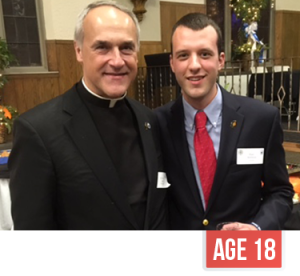 Within two short years and adjusting to high school at Cathedral Prep, Paul then grew his business to over 50 lawns. 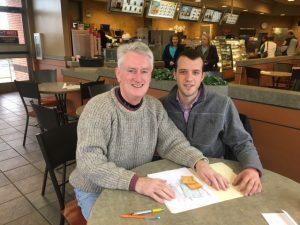 The fast business growth opened up new opportunities and Paul partnered with Paul Mabie to form H + M Landscape and Construction, LLC, expanding the landscaping services into a successful construction company. 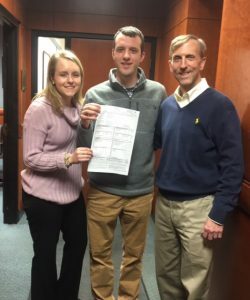 While most school students are busy with sports, clubs, and social lives – Paul, as a Senior at Cathedral Preparatory School, was busy defining the next phases of his growing company. With the addition of expanded services and developing the next business plan, it became clear that the business offerings were growing. 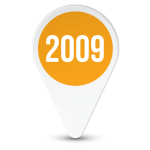 With a dedicated team, a strategic plan, and a drive for growth – Hoffman United, LLC is formed. The name change allowed the business to offer four divisions of services: Construction, Development, Property Management, and Landscaping. 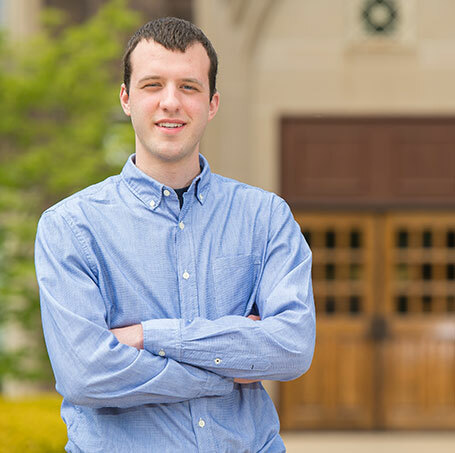 Paul starts his Freshman year at Penn State majoring in Accounting. 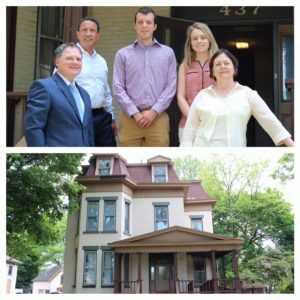 In November, Hoffman United, LLC purchased its first rental property – a four-unit on Myrtle Street. The project converted this vacant and depressed property, into an increased value with professional and qualified tenants. 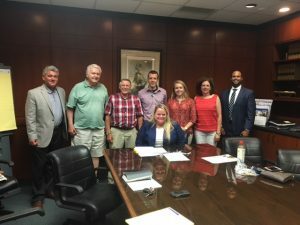 Throughout the summer, Hoffman United acquires West Ridge Apartments and 20 units along East Front and Parade Streets. 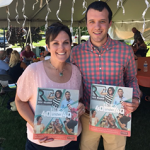 Topping the summer off by being one of Erie Reader’s 40 under 40. Close on additional units on W. 6th Street. A huge renovation from the studs to the exterior. East Front and Parade Street closing. The Erie Bar Association and Hoffman United agree to partner to gift 437 West 6th Street to be redeveloped. Once a group home for released male prisoners, the Brooks House will be renovated into the five newly updated and professional Brooks Apartments. 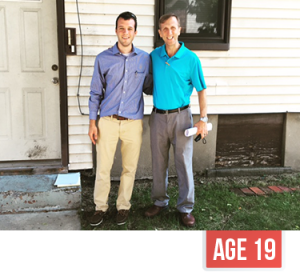 By the age of 20, Hoffman United’s commitment to Erie is demonstrated by donating 80% of the Construction services towards procuring more than 50 distressed and blighted properties in and around Erie. This is just the start to renovating Erie into the thriving community it can be.